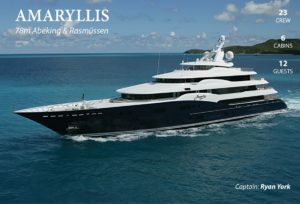 Luxury Super yacht AMARYLLIS is still available for charter in the Bahamas & Caribbean from May 2019 – Onward! 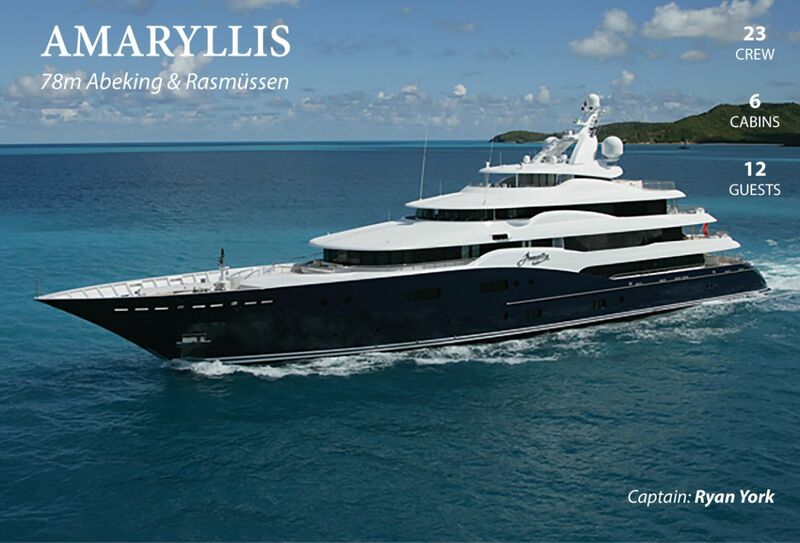 The 257.32ft/78.43m custom-built Bahamas yacht charter AMARYLLIS was built in 2011 by the acclaimed German shipyard Abeking & Rasmussen. A highly luxurious superyacht, both her interior and exterior spaces have been styled by the award-winning Reymond Langton Design. 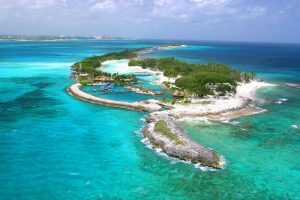 Accommodations for twelve guests in six luxury cabins with a crew of twenty-three. An Asian spa with plunge pool, sauna, steam room, massage area, and gym. Piano lounge with Schimmel auto-play piano. 5 x 2m Jacuzzi pool on the sundeck with changing colors. Elevator from cabin deck to bridge deck. Private Owner’s terrace with a panoramic outlook. A wide range of tenders and water toys. Amaryllis took part in this year’s Antigua Charter show where Chef Megan won the Honorable mention prize! Timelessly sophisticated, superyacht AMARYLLIS brings together the best of Belle Epoque, Art Deco, and Art Nouveau in order to set the scene for entirely memorable charter vacations. Comprised of 6 staterooms AMARYLLIS is capable of sleeping up to 12 guests with additional space for a discreetly accommodated crew of twenty-three. Consistent with the Art Nouveau and Art Deco influences, each of the suites is complete with soft taupe shades and warm tones. The VIP suite includes an automatic shoji screen to provide access to large panoramic views. The master suite, accessed through a dramatically curved lobby, comes with a full-beam study and desk carved from two extremely rare English-woods. It is a perfect spot for attending to business whilst out on the water. The yacht has a comprehensive collection of towable water toys and a Jet Ski designed by a former world champion. The main salon is perfectly primed for entertaining guests, and there is an inviting sundeck Jacuzzi complete with multi-colored lights. AMARYLLIS nicely epitomizes the leisure opportunities associated with a luxury charter vacation. Boasting an elegant Schimmel Pegasus piano, the aptly named ‘piano lounge’ offers guests the chance to enjoy cocktails in a glamorous setting. Entirely self-playing, guests are able to enjoy hours of beautiful music without having a virtuoso of their own. Another standout feature is the handcrafted limousine tender, which chaperones guests to AMARYLLIS ahead of their luxury charter vacation. Captain William Gould and his crew look forward to welcoming you on board!